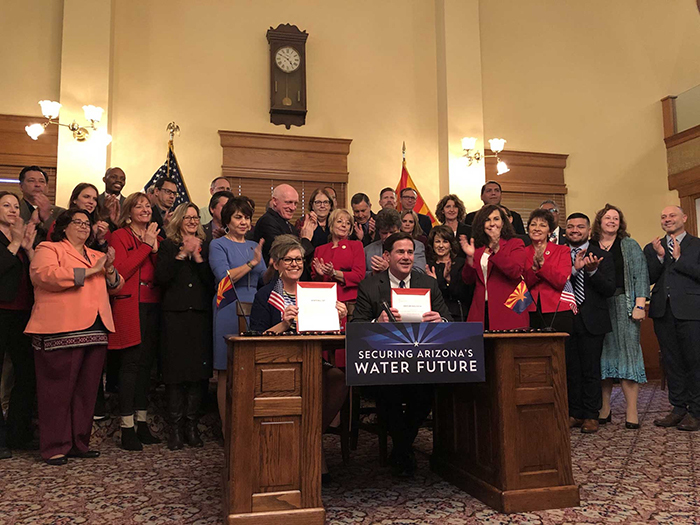 The seven states of the Colorado River Basin system took a huge step forward toward protecting and stabilizing their drought-threatened system on Tuesday, March 19, signing a Letter to Congress encouraging swift and necessary congressional action. In addition to the letter signed by the representatives of the seven Basin States, the Commissioner of the Bureau of Reclamation, Brenda Burman, announced that the Department of the Interior had rescinded its February 6 notice in the Federal Register. Reclamation is a division of the Department of the Interior, and oversees the operation of the Colorado River system. The meetings took place at the Arizona Department of Water Resources offices. In their Letter, the representatives of Arizona, California, Colorado, Nevada, New Mexico, Utah and Wyoming requested that Congress give authorization to the Secretary of Interior to sign and implement the DCP upon completion. ADWR Director Tom Buschatzke signed the Letter on behalf of Arizona. 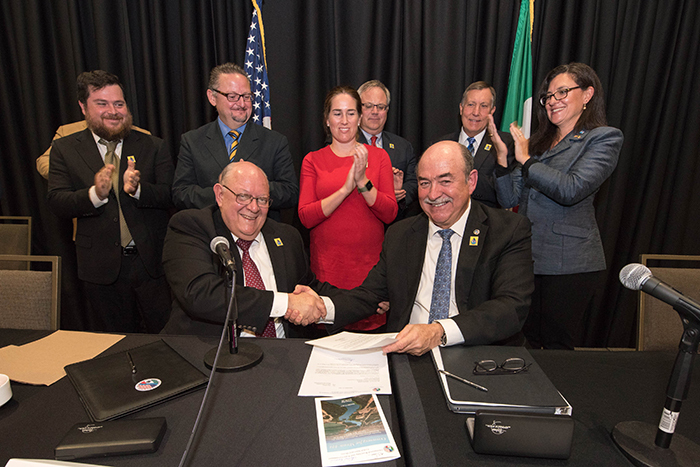 As the meeting began, both Commissioner Burman and Director Buschatzke noted the importance of the Republic of Mexico to the completion of the drought plans. In September 2017, the U.S. and Mexico signed an extension of their 1944 Colorado River treaty – an extension known as Minute 323 – in which Mexico committed to taking river-water delivery cuts in parity with U.S. savings in the event of a shortfall declaration. Buschatzke also commended the work of “my partner and collaborator in the DCP process,” Ted Cooke, the general manager of the Central Arizona Project. 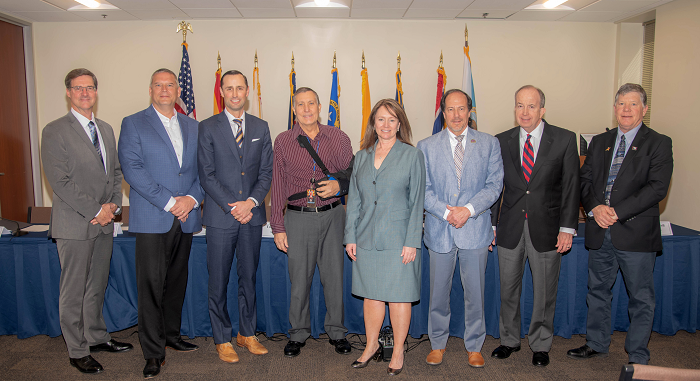 The ADWR director and the CAP general manager co-led the crucial in-state negotiations among Arizona’s Colorado River stakeholders, which led directly to the Arizona Legislature’s authorization on January 31. The January 31 legislation cleared the path for the State to participate in the DCP process by authorizing Director Buschatzke to sign the final interstate DCP agreement. The DCP commits the States and Mexico to specified delivery cuts in the event of a shortfall declaration. 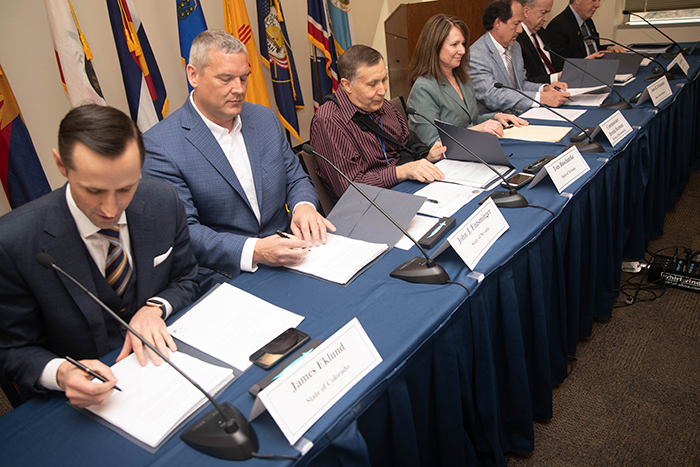 In addition to the Letter, the seven states and key Colorado River water districts formally submitted to Congress their Drought Contingency Plans. As a result of those plans being submitted to Congress, the Department of the Interior formally terminated its request for input by the Basin States governors that it had published February 6 in the Federal Register. Reclamation Commissioner Burman announced the rescission at the March 19 meetings. The notice had been published out of concern that the Basin States may not be able to complete the DCPs. In it, Interior requested input from Colorado River Basin governors on how the Interior Secretary should proceed in taking action to protect the drought-plagued system. The events of March 19, however, negated the need for the notice, prompting the rescission. Congressional hearings on the DCP commence next week. 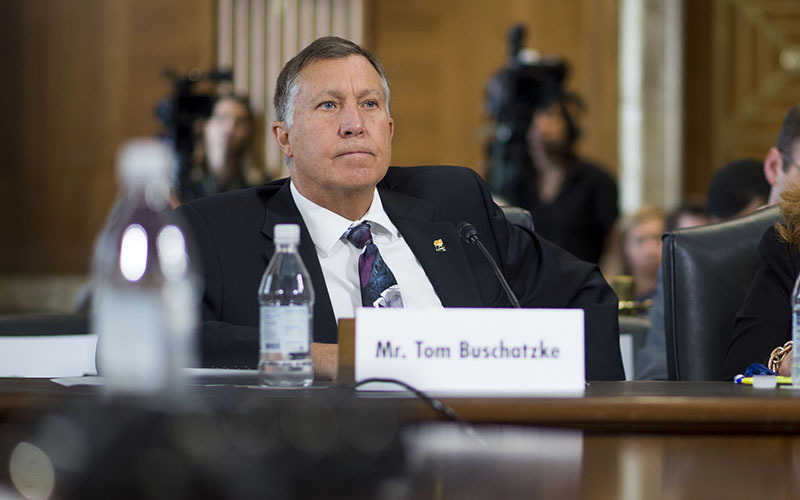 Director Buschatzke will testify next week before relevant subcommittees in the both the U.S. Senate and the House of Representatives. In addition to Director Buschatzke, Reclamation Commissioner Burman; John Entsminger, the general manager for Southern Nevada Water Authority; and, Pat Tyrrell, the Wyoming state engineer, are scheduled to testify before the subcommittee, which is chaired by Sen. Martha McSally of Arizona.